In the late 1860s local man Samuel Dugdale hatched an ambitious plan to gain borough status for Accrington. He believed that building a grandiose market in the town would help achieve this. The scheme was put out to tender and a design by Liverpool architect John Francis Doyle was selected. 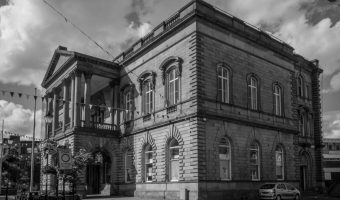 Construction work on Accrington Market Hall began in May 1868 and was completed towards the end of the following year. 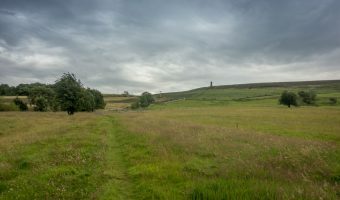 In 1878 Dugdale’s dream was realised when Queen Victoria granted Accrington borough status by royal charter. 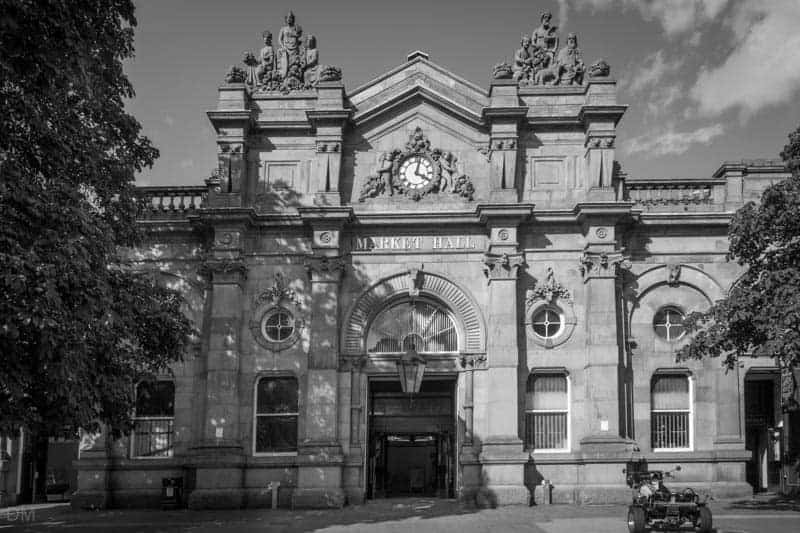 Today the Market Hall boasts Grade II listed status. In 2010 it underwent a £2 million refurbishment. 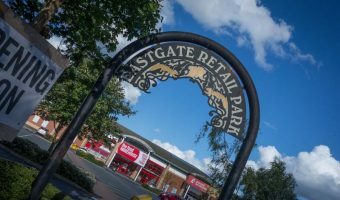 The project saw old market stalls replaced with newer units and the original stone flooring repaired and exposed. The balcony was opened up and used to house start-up businesses. Stalls offer meats, fruit and vegetables, shoe repairs and key cutting, fashion, electrical items, household appliances, greeting cards, flowers, and more. 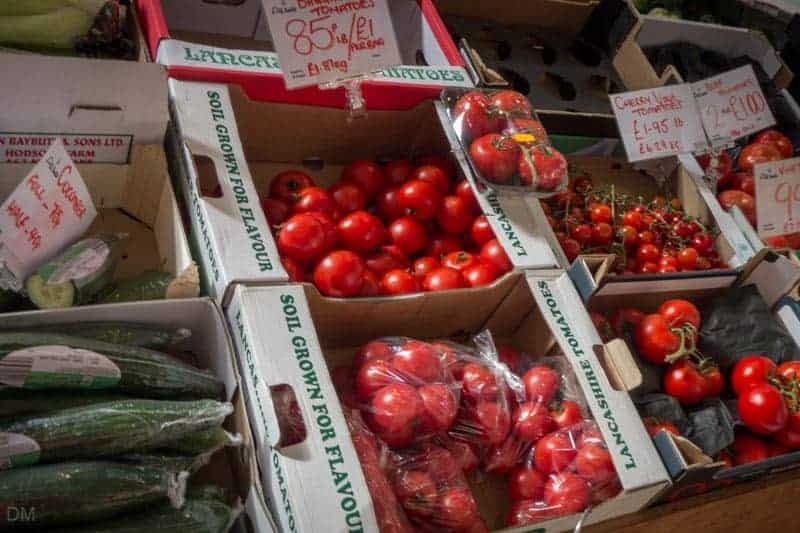 Accrington Market Hall is open Monday to Saturday from around 8.30 am to 5 pm (1.30 pm Wednesday). In addition to the indoor market, Accrington Market offers several outdoor pavilions. 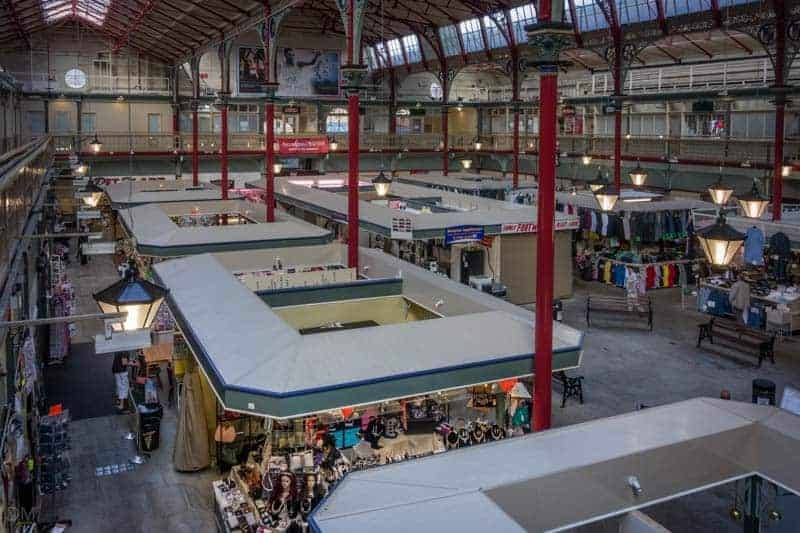 They were built in 2003 and are used for other markets such as three day general market and fish market. Accrington Market is located in Accrington town centre, adjacent to Accrington Town Hall. 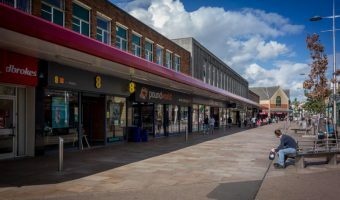 The front entrance is on Blackburn Road, but it can also be accessed from Peel Street and Broadway, the town’s main pedestrianised shopping street. Map showing location of Accrington Market. 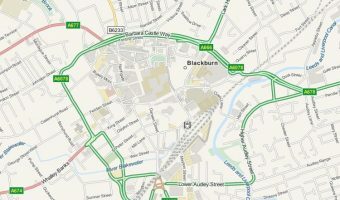 Interactive map of Blackburn. Shows hotels, tourist attractions, train stations, and more. 5-day weather forecast for Blackburn. View temperature, wind speed and chance of rain. Guide to Accrington. Includes hotels and places to stay, tourist attractions, and transport information. Shopping centre in Accrington town centre. Retail park in Accrington town centre. Stores here are Pets at Home, Home Bargains, Iceland, and Poundstretcher.